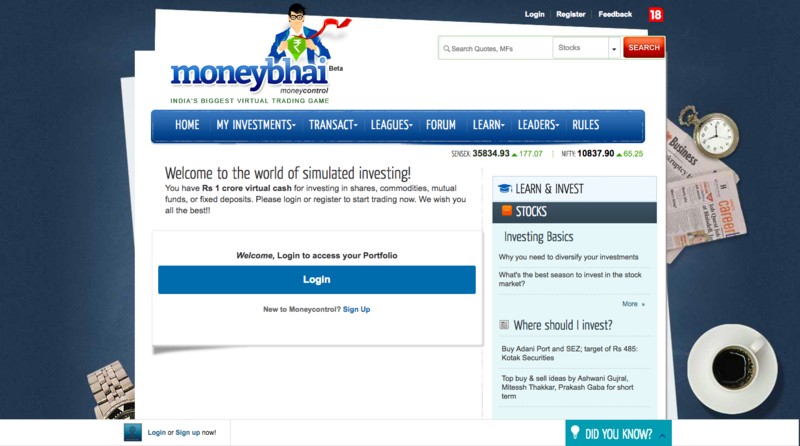 Moneycontrol website offers Moneybhai. It is a free virtual trading platform where you’ll get Rs 1 crore virtual cash on registration which you can use to invest in shares, commodities, mutual funds, or fixed deposits on the platform. 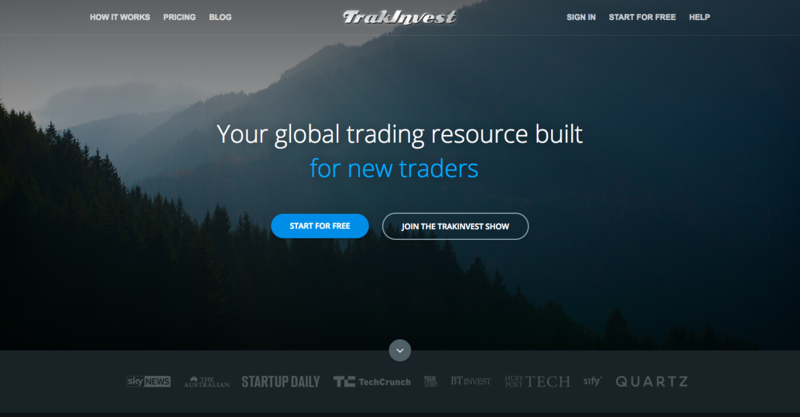 TrakInvest is a global trading platform that helps you to learn, develop and improve your investing skills. Currently, it provides a curated market data and news from 10 exchanges. 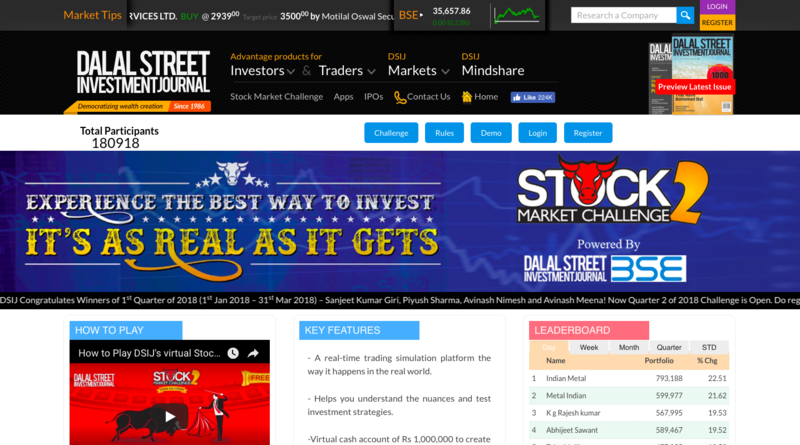 Dalal Street Investment Journal (DSIJ) popular virtual stock trading platform in India which helps you to understand the different trading nuances and to test your investment strategies. 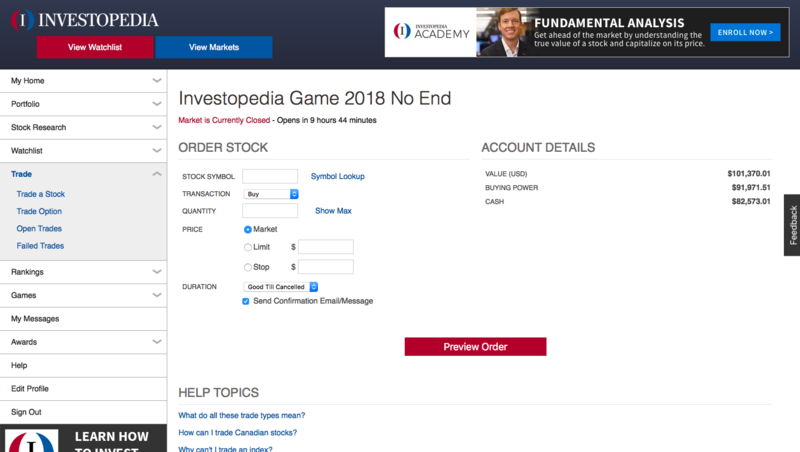 Investopedia provides a FREE stock simulation platform where you can easily learn how to place trade orders (like market order, limit order, stop loss, etc), how to create a portfolio, how to create watchlist and more. On registration, you’ll get $100,000 as virtual cash which you can use to trade. You can also compete with thousands of Investopedia traders/players on the same platform.